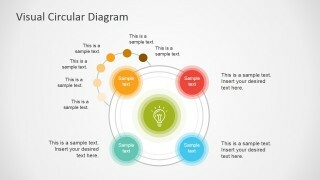 The user can use this principle as a metaphor using the Visual Circular Diagram PowerPoint Template. He/she can make use of the phenomenon to illustrate the sub-elements of each component of any business process. The rippling effect can be demonstrated by highlighting the different steps under a major procedure. This effect is made clearer by the rippling outline of the circular shapes which represent the main steps. 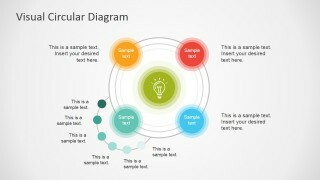 Using the template, the user can provide a short description of each major process. In this way, the procedures can be brought to light to provide an outline. This can serve as an introduction before the user elaborates the components under each process. This is illustrated by the small circles which extend from the large center circle. In theory, this recreates wave propagation by showing the components that are derived from a single process. 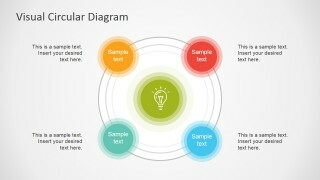 Four of the five slides in the PowerPoint template highlight the components of a single process in the cycle. This is shown one process at a time to focus on a singular business concept and avoid overloading the slide with information. 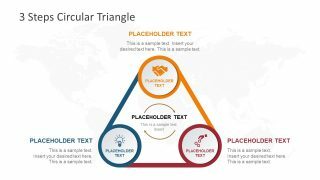 Thus, the user has more room to transmit the message properly and discuss the contents of the presentation in a neat and organized manner. 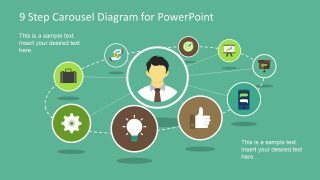 The circular PowerPoint shapes have been specifically designed to be light on the eyes. This helps make the content stand out without looking too crowded on the slide. 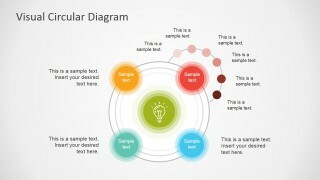 A lightbulb icon at the center can represent the brainstorming or thinking process involved. 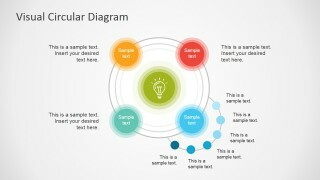 The Visual Circular Diagram PowerPoint Template can be used in presentations involving circular processes and plans. 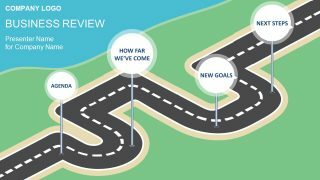 It is most ideal for circular business procedures and marketing cycles. 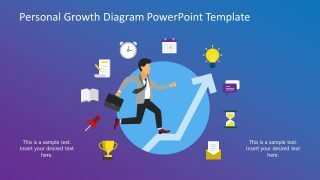 However, the user may also edit the slides and their content to fit any type of business presentation. 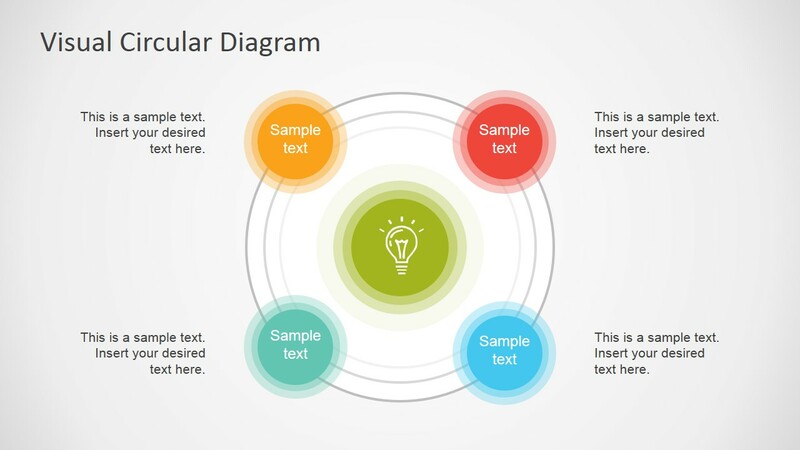 The user may also download other PowerPoint templates from the Gallery, such as 5 Step Creative Circular Diagram Design for PowerPoint.